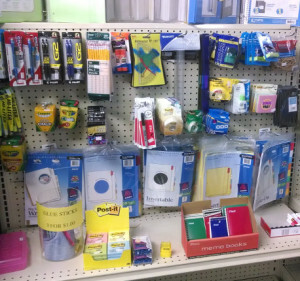 Nott Street Office is your source for business and office supplies. Whether for your office or your own private use, you’ll always find what you’re looking for at our store. Be sure to check what we offer… a surprisingly wide variety at prices that rival the the big box stores. We have hundreds of items in stock. If you don’t see it in store, most any item can be special ordered within 24 hours. Our supplies along with our friendly, courteous service will make us your number one choice for all your stationery and office supplies needs. Whether it’s arts & crafts, a self-made invitation or drawing and design: Your creativity knows no bounds! We provide you with everything you need to implement your ideas. Arts & crafts supplies from glue to colored paper, and much more! Check out our special offers and savings for you. Original Content Copyright © Nott Street Office. All rights reserved.